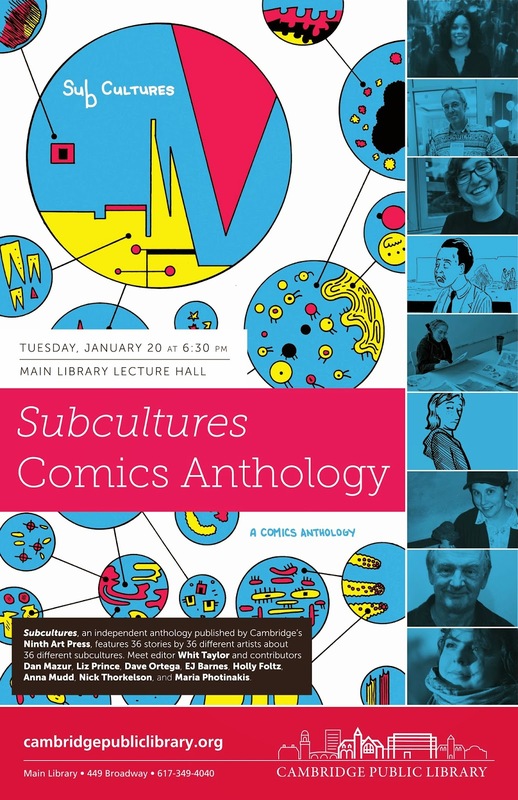 January 20, Cambridge Public Library: SubCultures Live! Nine SubCultures contributors - including editor Whit Taylor, all the way from the Garden State! - will be presenting and discussing their stories at the Cambridge Public Library on Tuesday January 20th! Join us!